We’d like to introduce you to some of our happy and successful clients…. 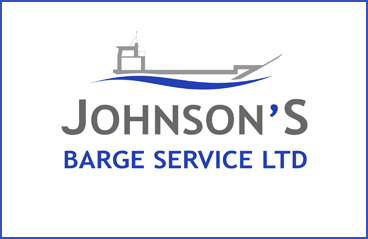 Johnson’s Barge Service Ltd owners, Peter and Jennie Johnson, are the third generation to continue on the Johnson family business. Johnson’s Barge Service Ltd operates two main vessels, a motorised barge named ‘Pukatea’ as well as ‘Hinau’, a dumb barge which is towed by tug boat. The business operates mainly in the Pelorus Sound and D’Urville Island area, but also goes as far as Nelson, Golden Bay and Queen Charlotte Sounds as required. Keeping family traditions alive the business still operates ‘Tawhai’, a tow vessel which was originally designed by Eric Johnson and was built in 1966. ‘Tawhai’ can still be seen plying the sounds on most days of the week. “Peter and I decided to change our accountants about 3 years ago for reasons of service and value for money. I did a lot of asking around and phoning for quotes and Dean Steele at Johnston Associates Havelock branch came out on top, and was in fact recommended by two of the other accountants that I rang! We are very pleased with our decision. Dean and his partner, Ben Douglas, are always available for any queries or problems I have. I use an accounting software package called Quantum and instead of trying to make me change my system, like others did, they bought their own Quantum software so all I need to give them at year end is a backup. They come and see us at our office so we no longer have to schedule a half a day off to travel to our accountant and because they see us in our place of work they have a greater understanding of our business. They are always on time for meetings and complete our end of year Financials in really good time – no waiting for months for the year end results and tax position. Dean has a great team at the branch in Nelson who ensure that all of the scheduled notices and reminders about tax deadlines etc, reach me in good time and who provide other great support services. We would, and do, recommend Johnston Associates to anyone needing an accountant for their personal affairs or for business.” – Jennie Johnson, Director. Garry and Kerry Ford own Ford’s Restaurant in Nelson. After many years owning the renowned White Morph Restaurant in Kaikoura, the Ford’s decided it was time to bring their unique approach to contemporary dining, to their home town of Nelson. Garry Ford has won numerous awards over the years. These awards speak of his commitment to transforming the highest quality local produce into superb cuisine. That said, Garry’s greatest satisfaction is not the winning of awards, but of delivering something special on every plate. “We have been thrilled with our move to Johnston’s earlier this year. For the first time in 16 years of running restaurants and four accountants later we feel truly supported in our business by their team. It isn’t just about number crunching but they’ve given us practical advice to improve our margins and reduce our outgoings. Their suggested move to the Xero accounting package has been followed up with thorough training and it’s good to know they’re keeping an eye on things too, we’re not alone” – Garry and Kerry Ford, Owners. Pelorus Projects is a boutique consultancy service primarily for small business. Strategically located on State Highway 6, midway between the towns of Nelson and Blenheim in the small township of Havelock. Pelorus Projects is well placed to service the needs of the local aquaculture/seafood industry and Marlborough’s viticulture industry centred on neighbouring Blenheim. “Since 2008 Pelorus Projects has grown from an owner operator business providing project management services to a NZ coastal shipping company and the Havelock Mussel Festival. Now employing five FTE, Pelorus Projects provides a range of services including Business Consultancy, Training and Business Support Services for viticulture, aquaculture, tourism and community organisations. Johnston Associates has been instrumental in enabling Pelorus Projects to grow and have the confidence to embrace new opportunities as they have arisen.” – Wendy Walker, Director. Enter your email address to receive our monthly newsletter full of accounting advice and tips to help your business grow.